Tencent buys Clash of Clans developer Supercell from SoftBank. Supercell, SoftBank Group Corp. and Tencent Holdings Limited today announced the signing of a definitive agreement pursuant to which a consortium established by Tencent (the "Consortium") will acquire up to 84% of Supercell in a transaction valuing the Company at an equity value of approximately USD 10.2 billion (approximately JPY 1.1 trillion). Following the transaction, Supercell will be owned by the Consortium and by Supercell's employees. 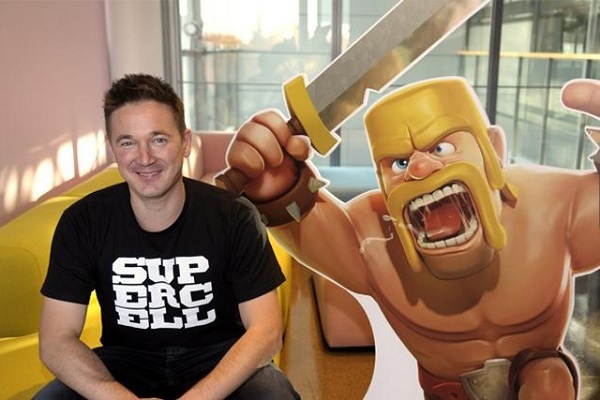 Supercell will retain its independent operations, the headquarters will remain in Helsinki, Finland and its existing team will continue to run all operations of the Company. To focus on continued success, every employee is already an equity holder in Supercell and the partnership with Tencent will significantly enhance this commitment. Every employee will take part in a new long-term incentive plan, and will be able to sell their vested shares annually to Tencent. The transaction, which is currently expected to close during the third calendar quarter of 2016, is subject to customary regulatory approvals and closing conditions. Softbank will no longer own any shares in Supercell following closing. Masayoshi Son, Chairman and CEO of SoftBank Group Corp., said: "We have enjoyed an outstanding relationship with Ilkka and the Supercell team, and it has been our privilege to be part of Supercell's incredible growth story. Over the life of our investment, Supercell has operated as an independent company, and its unique culture of independent teams has proven itself repeatedly. I have great respect for Tencent and its leadership in games, and believe that with its commitment to respect Supercell's independence, Tencent represents the ideal partner to take Supercell's business to the next level. Our decision to divest our shares is driven by our continued focus on monetization for the benefit of our shareholders and on capital structure discipline, both key pillars of our SoftBank 2.0 strategy." Ilkka Paananen, CEO of Supercell, said: "Today is about chasing a future for Supercell that we have always dreamed of. We founded Supercell to make great games that people all over the world would play for decades and become part of the rich history of games. We've made excellent progress - over the past six years, we've created four top games that are now played by over 100 million people every single day. Tencent's investment secures what has made all of this possible, which is our independence and unique culture of small and independent teams. We want Supercell to be the world's best place for creative people to create games. At the same time, this new partnership offers us exciting growth opportunities in China, where we will be able to reach hundreds of millions of new gamers via Tencent's channels. Martin Lau, President of Tencent, said: "Supercell is known for its creativity, focus on player experience, and unique culture, which have enabled it to create innovative mobile games that are wildly popular globally. Tencent is dedicated to building long-term strategic partnerships with leading game companies. We are excited that Supercell is joining our global network of game partners, and will preserve their independence and enhance their advantages, thus bringing even more exciting gaming experiences to players around the world. It is important to us that Supercell stays true to its roots by sustaining its unique culture, continuing to be headquartered in Finland, and representing its home proudly." As of the signing of the definitive agreement, Tencent holds all outstanding interests in the Consortium. Following the closing, Tencent currently expects to maintain a voting interest of 50% in the Consortium, such that in accordance with the provisions of the relevant International Accounting Standards, Tencent will account for dividend or distribution of profit, if any, from the Consortium as dividend income in its income statement. As such, Tencent will not consolidate or equity-account for its investment in the Consortium. This structure will give existing Supercell management maximum independence in order to incentivize and drive future performance, while enabling Supercell to access all of Tencent’s expertise and user base. In parallel to the transaction, Tencent and Supercell have entered into marketing and publishing arrangements regarding the distribution of games developed by Supercell in China. Morgan Stanley & Co. International plc served as financial advisor and Fenwick & West LLP and White & Case LLP as legal advisors to Supercell. The Raine Group LLC served as financial advisor and Morrison & Foerster LLP and Hannes Snellman as legal advisors to SoftBank. BofA Merrill Lynch served as financial advisor and Covington & Burling LLP and Slaughter and May as legal advisors to Tencent. Supercell is a mobile game developer based in Helsinki, Finland, with offices in San Francisco, Tokyo, Seoul and Beijing. Its games are available for tablets and smartphones using both Apple's iOS and Google's Android operating systems. Since its founding in 2010, Supercell has brought four top games to the market - Hay Day, Clash of Clans, Boom Beach and Clash Royale, each of them have made it top-10 grossing globally, two of which have been #1 games. Today, these games are played by more than 100 million people every day. The company was founded on the belief that 'the best teams make the best games', and operates under a unique organizational model that is based on small and independent teams known as "cells". Tencent uses technology to enrich the lives of Internet users. Every day, hundreds of millions of people communicate, share experiences, consume information and seek entertainment through our integrated platforms. Tencent's diversified services include QQ, Weixin/ WeChat for communications; Qzone for social networking; QQ Game Platform for online games; QQ.com and Tencent News for information and Tencent Video for video content. Tencent was founded in Shenzhen in 1998 and went public on the Main Board of the Hong Kong Stock Exchange in 2004. The Company is one of the constituent stocks of the Hang Seng Index. If you are planning to build your next application, opt for development services for modularity. As each module has its own functionality, and can be shared across teams, this allows quick app development as well as better team collaboration.